Since long before computers were even thought of, data has been collected and organized by diverse cultures across the world. Once access to the Internet became a reality for large swathes of the world's population, the amount of data generated each day became huge, and continues to grow exponentially. It includes all our uploaded documents, video, and photos, all our social media traffic, our online shopping, even the GPS data from our cars. 'Big Data' represents a qualitative change, not simply a quantitative one. The term refers both to the new technologies involved, and to the way it can be used by business and government. Dawn E. Holmes uses a variety of case studies to explain how data is stored, analysed, and exploited by a variety of bodies from big companies to organizations concerned with disease control. Big data is transforming the way businesses operate, and the way medical research can be carried out. At the same time, it raises important ethical issues; Holmes discusses cases such as the Snowden affair, data security, and domestic smart devices which can be hijacked by hackers. 2: Why is big data special? 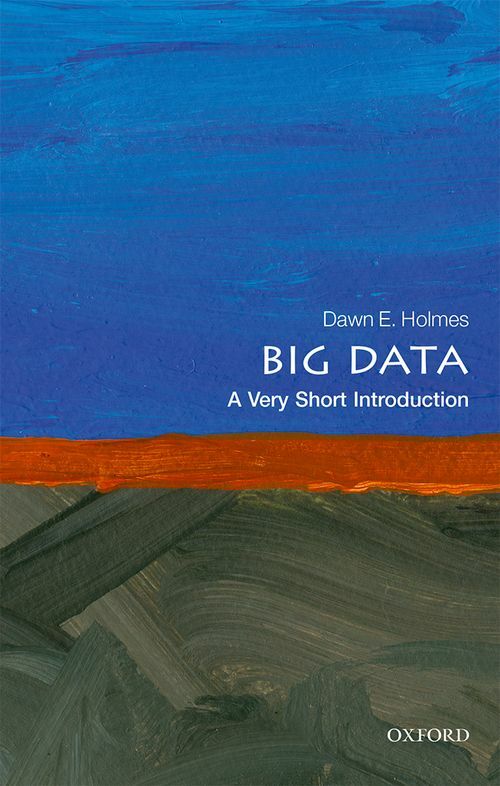 Dawn Holmes is a faculty member in the Department of Statistics and Applied Probability at the University of California, Santa Barbara, specializing in Bayesian networks, machine learning, and data mining. She is the co-editor of a three-volume work, Data Mining: Foundations and Intelligent Paradigms (Springer, 2014), and Associate Editor of the International Journal of Knowledge-Based and Intelligent Information Systems.